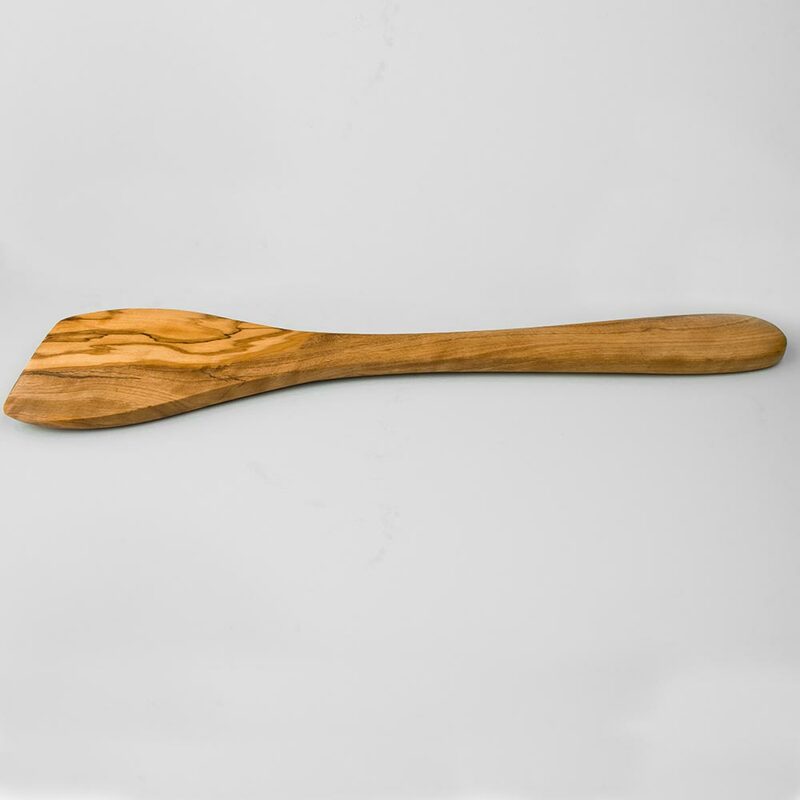 Our Olive Wood Spatulas are handmade from original Italian olive wood. 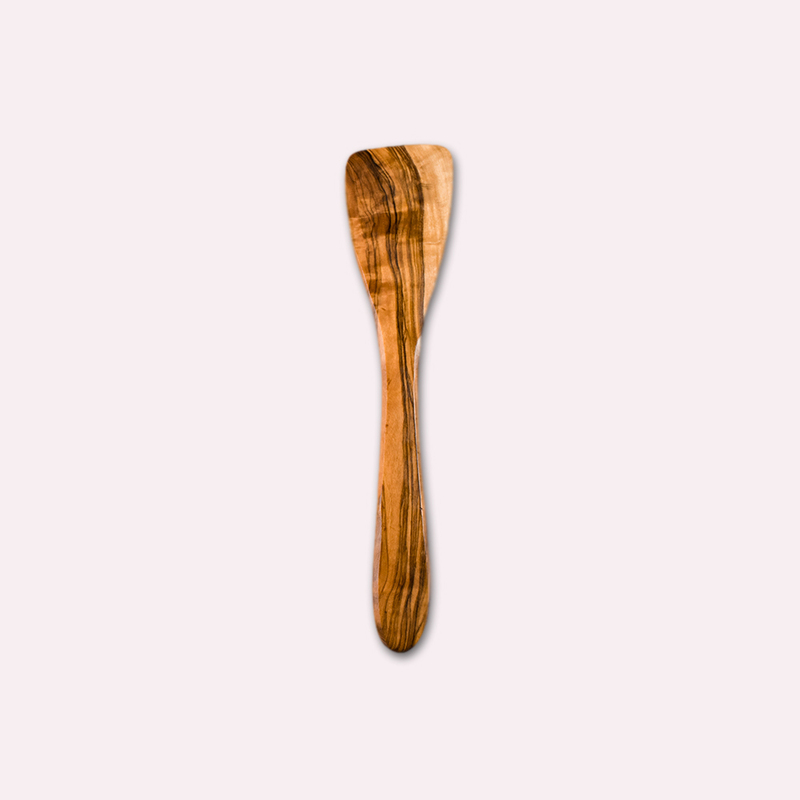 Olive wood is the ideal material for spatulas. 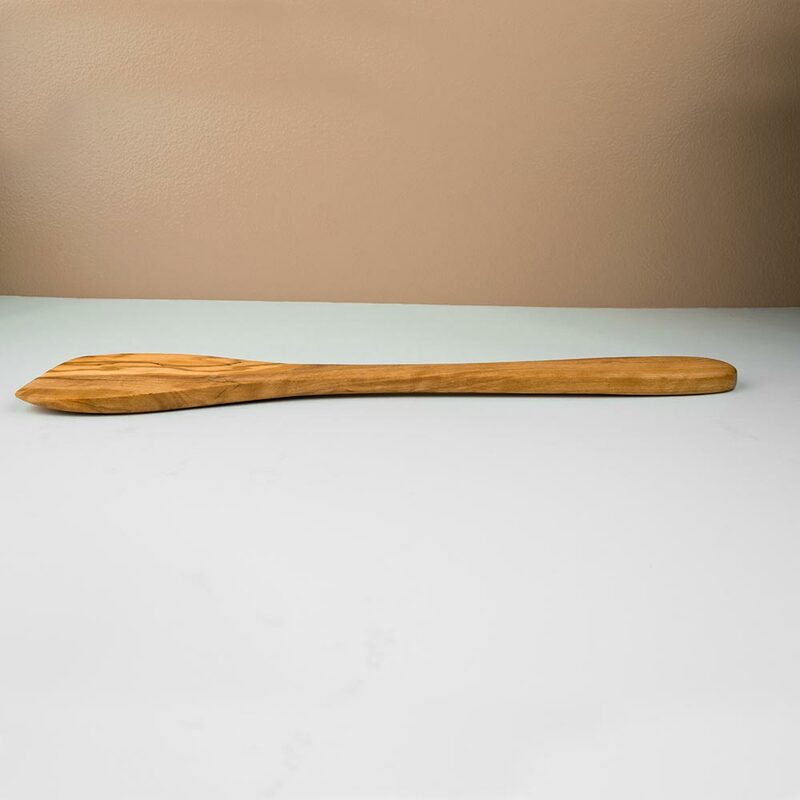 It provides the strength and flexibility to handle everything from turning delicate fish or steaks to flipping pancakes while being gentle enough to be used for tin-lined copper cookware and other nonstick coatings. 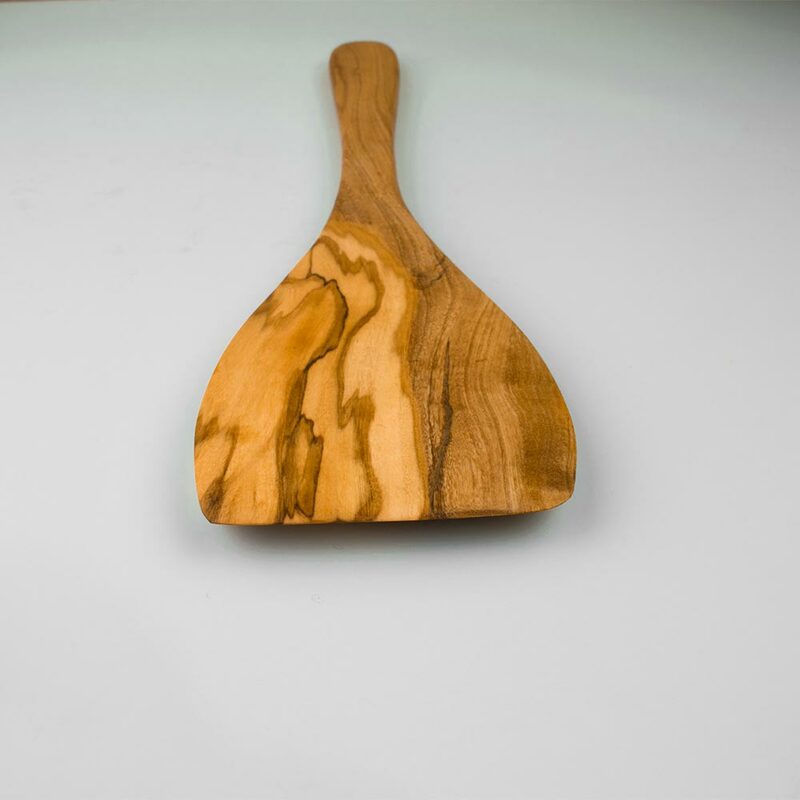 The wider blade on our olive wood spatulas covers more surface area on the bottom of the pan while the form of the spatula easily reaches the transition of the base to the sides of the pan. The wood is sourced from the beautiful Umbria region in Italy and custom made to perfectly accommodate our products.